I like to go in forums and strike up debates with people. It drives me to study and prove the truth behind what i am saying. I am my biggest critic. I guess i try to stay open minded about myself. I am not a respecter of persons and that means myself included. There are times when i’m on forums debating and arguing when people take what i say and either twist it, or take the polar extreme of what i’m saying and argue with me on their own conclusions. For instance, I wrote on a forum that cheerfulness is required in giving to God, so in turn someone accuses me of saying that we shouldn’t give unless we feel like it. First, i never stated that, but nonetheless, i try to reason with them. In a nutshell my conclusion was that cheerfulness is not required “in order to” give, it is required “of” giving. There is a difference in the comparing statement above. You don’t sit around and wait for your heart to get right in order to obey God’s orders. So anyways, i get accused further for obeying God based on emotion. Then they want me to provide bible verses that show how emotions is a requirement to obtain or maintain salvation. . . the list goes on and on. Quite frankly, it gets very tiring and annoying. I don’t know why i try to reason with people, or why i even go back to that forum. Maybe one of you reading this is a psychologist and can explain why a dog returns to its vomit, and why i go back to this emotionally draining forum. So yeah, as i said, i am pretty open minded, but it just is crazy to me that people aren’t the same way. i mean for crying out loud. People will argue with you over one stinking little word that you said, instead of sticking to the subject. I have conceded to many things on the opposing side of the tithing debate, but not once can i remember in my 400 something posts, that the opposing side conceded to me. If i state that the tithe was part of the fulfilled law and is not required for New Covenant Christians, i get painted as a heretic that is trying to throw out the bible. It’s crazy. I feel like i’m the one that has to defend my position, but in reality, i’m the one that is armed with so many accusations and questions that they should be the ones on defense. So Anyways, my question to you is do you think cheerfulness is required of giving? I don’t want to know if you should be happy in order to give. I want to know if being cheerful is a command just as much as giving is a command? I feel like this answer is obvious, but i want to hear your opinion. I want to make sure i am not losing my mind on this issue. The next post i will state my defense and reasoning on this issue. Anyone wanting to know what the Apostles taught and even wrote in a letter with instructions to give to the Gentile Believers regarding what commandments & OT laws they should keep (such as circumcision, etc can find the Apostles instruction in the entire book of Acts chapter 15 esp. verse 24 – 29. Gentile believers (none Jewish) were never taught the tithe command by our Lord Jesus, Paul,or the Apostles. Repeat Non-Jewish believers in Christ were never taught to Tithe!!!! 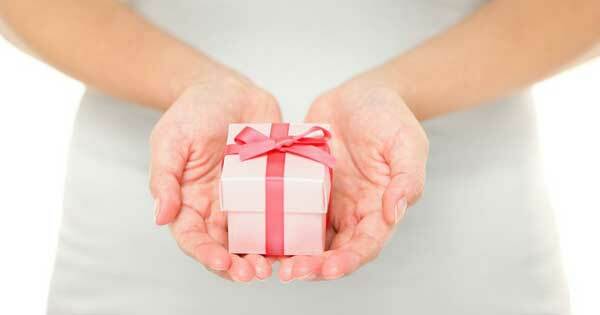 Giving should come from the heart. If you love someone they already have your time, talent and treasure. Everything we do do is now out of love and not duty, OT laws or obligation, which can creates pride,giving to get, a mentality that have to pay God when He owns all things,. Gods love is free without a required payment. He paid it all so now we are lead by His Holy Spirit in all things including how much to give & where. 2nd Corinthians 9 said to freely give and not out of necessity–being made too, not by persons manipulating, brow-beating or twisting the New Testament Scriptures. 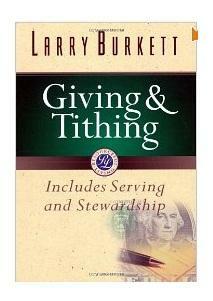 Gentles Believers were never taught to Tithe. Where exactly is that found in the NT. The Apostle Paul did not even require a salary read his letters to the Corinthians. Most people follow along without having a Berean mindset. Abraham gave a one time tenth to Melchezedek, but was not ongoing. This however does not let us off the hook the Bible said a workman is worthy of his wages. Pastors & church workers deserve financial support it is their right! When Pauls says ‘It is more blessed to give than to receive’ he is clearly confirming that God will bless us with joy when we give freely. This is NOT referring to tithing under COMPULSION or REQUIREMENT (Heb 7:5) …there is no freedom or JOY in having to obey a Law! Hi, well I’m certainly not smart however, I do have an opinion and since you are asking, I’ll give it (haha) – So, this is my thought on tithing w/a cheerful heart – I think (remember this is just my thought) that there are times, especially in the beginning, when you don’t have a cheerful heart but you need to tithe anyways – why, because practice makes perfect (duh) – I want to have a cheerful heart but if my heart isn’t there just yet this is something I can ask God about during our prayers – “Help me to have a cheerful heart, teach me to be a good servent and stewart etc.” First I recognize that I am a sinner and as such I tend to lean towards the whole me, me, me philosphy, but through my journey w/tithing I am learning to put God and others first and you know what, it’s working, my heart is changing. Slowly but surely. Personally, I’m not going to “wait” for my heart to be in the right place to tithe because I haven’t taught it to be in the right place (and I would have to wait forever)- I’m going to give and whenever I have a negative thought I just think to myself this is God’s money, he provides for me, he takes care of me and he favors me and darn it – knowing that my little bit is going to help others, does makes me happy.